Most travelers to Israel have probably seen acacia trees growing along the shore of the Dead Sea. Fewer travelers have visited the Sinai Peninsula, now part of Egypt. The term acacia is used in most English versions of the Bible, but the King James version (1611) simply transliterated the Hebrew word shittim. The acacia is a member of the Mimosa family. Four different species are found in Palestine, the most common being the A. raddiana, which grows in the valleys around the Dead Sea. It is an evergreen tree, 3 to 5.5 m high, with spiny branches carrying yellow flowers; its wood is very useful for building purposes. The acacia below is in the Wadi el-Tor in the Sinai Peninsula between the Gulf of Suez and Mount Sinai. Acacia growing in Wadi el-Tor in the Sinai Peninsula. Photo by Ferrell Jenkins. In the description of the construction of the tabernacle, the book of Exodus uses the word acacia 26 times from chapter 25 to chapter 38. When we see the smaller trees today we may wonder about finding enough wood for the tabernacle. 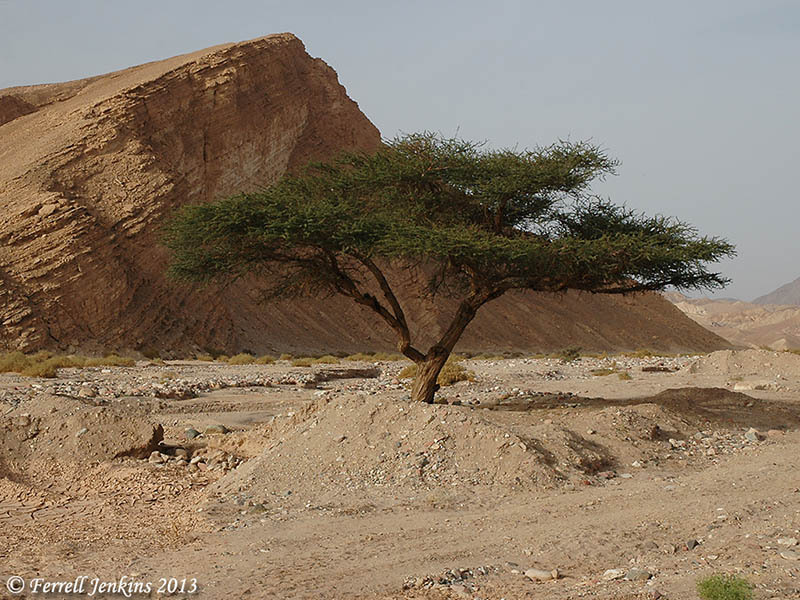 At Ain Musa (Spring of Moses), the traditional place of Marah (Exodus 15:23), there are a few older large Acacia growing. Could it be possible that 3500 years ago there were many this size? 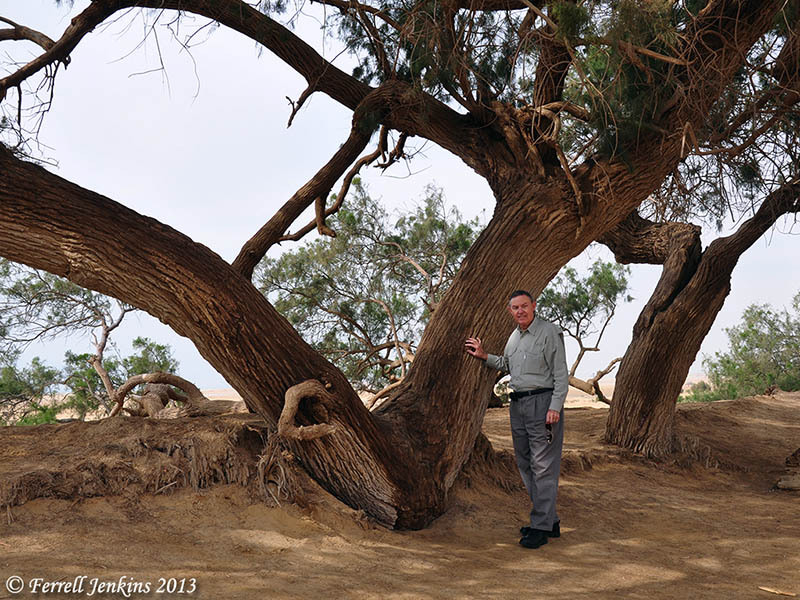 Large acacia at Ain Musa (Spring of Moses) on the east shore of the Gulf of Suez. Southwestern Baptist Theological Seminary has released information about the most recent season of archaeology at Tel Gezer here. 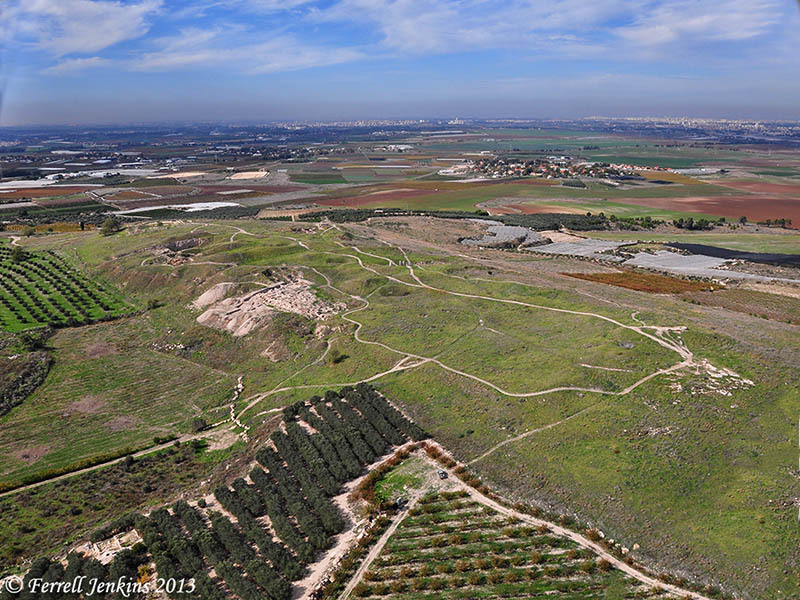 Southwest aerial view of Tel Gezer toward the coastal plain. Photo by Ferrell Jenkins. This summary of the most recent season was written by Steven Ortiz and Samuel Wolff. For more information see www.telgezer.com. 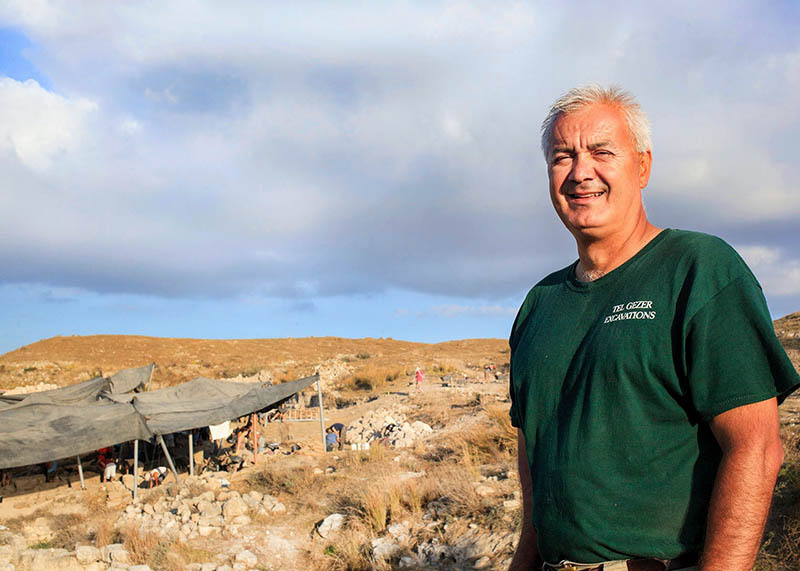 Steven Ortiz, professor of archaeology at Southwestern Seminary, is co-director of the archaeological excavations at Tel Gezer, site of one of the famed cities of Solomon located between Jerusalem and Tel Aviv. Photo by Matt Miller. For earlier posts about Gezer, see the following: aerial photo with a view toward the hill country, boundary stones, and the water system. 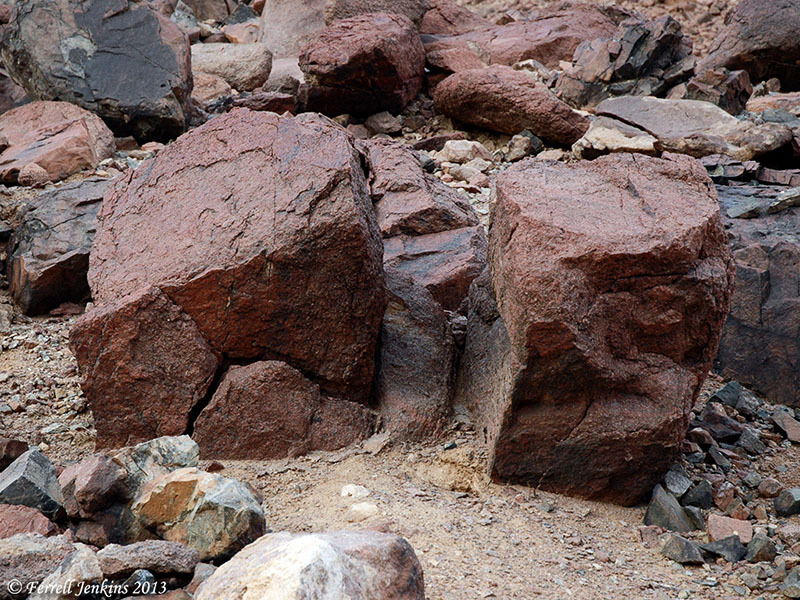 This photo of granite rocks was made at Jebel Musa (traditional Mount Sinai) in the Sinai Peninsula. It reminded me of several Old Testament references to the rock from which the Lord provided water for the Israelites in the wilderness. Granite rock on Mount Sinai (Jebel Musa). Photo by Ferrell Jenkins. You may be able to use this photo as an illustration in one of your Bible class lessons or sermons. Click on the photo for a larger image. 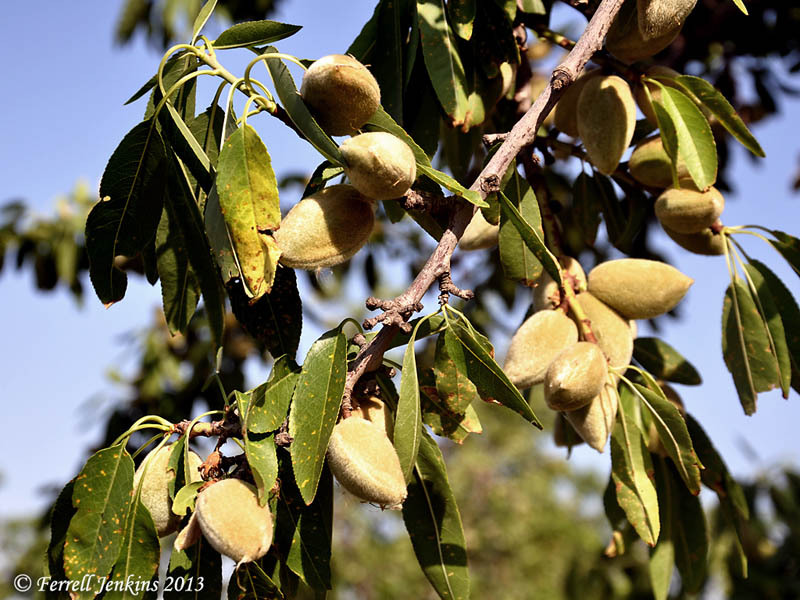 The photo below shows almonds growing in the Jezreel Valley in late April. Almonds growing in the Jezreel Valley. Photo by Ferrell Jenkins. During the days of a severe famine in the land of Canaan, Israel (Jacob) agreed to allow his youngest son Benjamin to go to Egypt at the request of the man who was in charge of dispensing food. That man was Joseph, the son of Israel. Jacob agreed to allow Benjamin to go with his older brothers. He also told the boys to take some of “the best products of the land” including almonds. 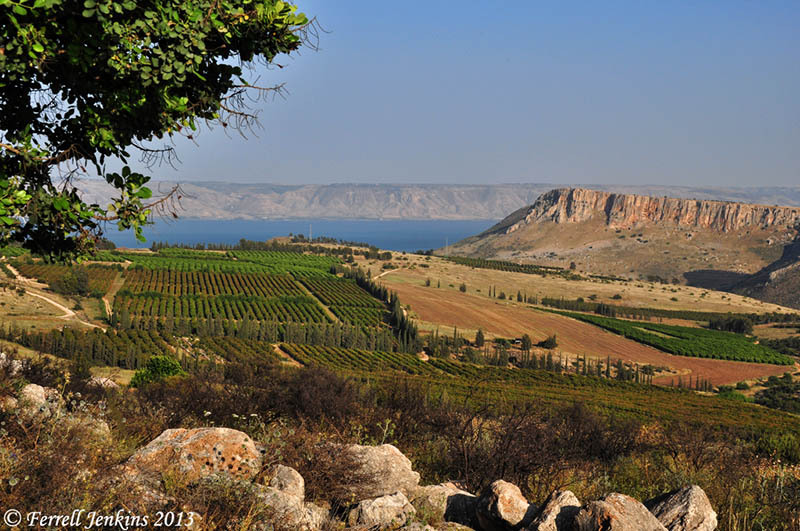 This photograph of the Sea of Galilee and Mount Arbel was made from highway 807. The Sea of Galilee and Mount Arbel from the NW. Photo by Ferrell Jenkins. From this point we can see the east side of the Sea of Galilee. Today we know it as the Golan Heights. In Old Testament times it was known as Bashan (Joshua 21:27). Golan was one of the cities of Refuge located in the area. In New Testament times this was the area of the Decapolis (Mark 7:31), and probably the country of the Gadarenes (Matthew 8:28). Below Mount Arbel runs the Via Maris, the main road leading from the Turan Valley to Capernaum. This road allowed travel and commerce between Capernaum, Magdala, and Tiberias with the cities of Nazareth, Cana, Sepphoris, and Jotapata. 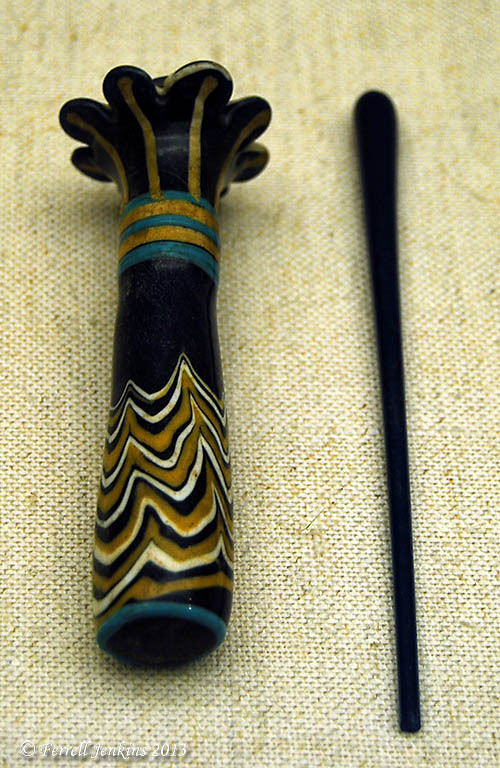 The palm-column flask is one of the best represented types of glass vessels from the New Kingdom. It served as a container for the cosmetic kohl, or eyepaint, made of ground galena mixed with fat or resin and applied to the lids with the slender glass rod. Palm-column flask and kohl stick. Museum of Fine Arts, Boston. Photo” Ferrell Jenkins. It was centuries later when Jehu came to see Jezebel at Jezreel. Jezebel, the widow of King Ahab, wanted to make a good appearances on Jehu. Perhaps Jezebel did not know that she was preparing herself for her death. 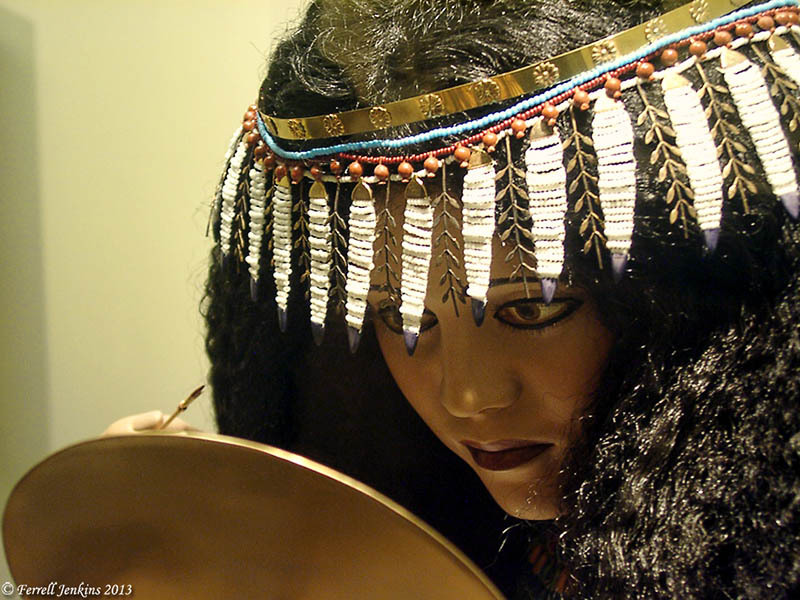 Royal Ontario Museum exhibit showing an Egyptian woman painting her eyes. Photo by Ferrell Jenkins. The prophets also spoke of this practice, but not in a complimentary way, in Jeremiah 4:30 and Ezekiel 23:40. 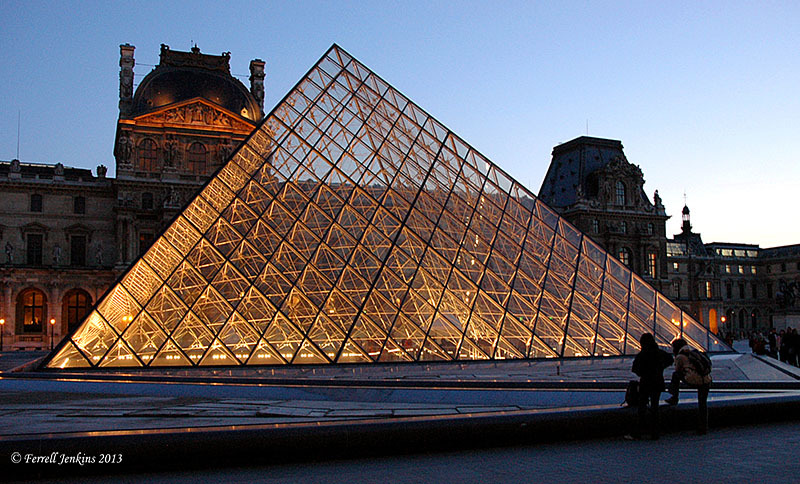 National Geographic recently released a list of Top 10 Museums and Galleries here. Entrance to the Louvre at night. Photo by Ferrell Jenkins. Over the years I have had the opportunity to visit each of these museums at least once. While I enjoy the art, I am usually looking for artifacts that provide some background for the Bible. That would make a good list. If I should be asked to suggest number 11, it would be the Pergamon Museum, Berlin, Germany.